Yuzu essential oil comes from an east Asian citrus fruit. Its uplifting, calming qualities are ideal for soothing stress or anxiety related issues. Also useful for supporting the respiratory and digestive systems and for warding off colds and flu. Yuzu essential oil is cold pressed from the peel of an east Asian citrus fruit (Citrus junos). The fruit is a natural cross between a mandarin and a wild Ichang lemon and resembles a small, bumpy orange. Yuzu fruit is mainly cultivated in Japan, Korea and China and has been used in Asian cooking for hundreds of years. It is incredibly aromatic, with a super sour taste. Similar to lemons and limes, the fruit is too tart to eat, but its zest and juice are widely used for flavouring everything from spicy sauces to liqueurs and marmalades. It is also used in high-end perfumes. In Japan, Yuzu represents new beginnings and vibrant health. The fruit is traditionally used in a hot bath on the winter solstice, to help warm the body, ward off winter ills, calm the mind and help people feel inspired for the future. Yuzu essential oil has an unusual citrussy aroma - a cross between Grapefruit and Mandarin with hints of Bergamot and Lime. The oil isn’t produced commercially in large quantities, which is why it is more expensive to buy than other citrus oils. Cold pressed Yuzu oil is phototoxic and should not be applied to the skin before direct exposure to sunlight. Take care to ensure that your oil is stored correctly. If the oil becomes oxidised it may cause skin sensitisation. 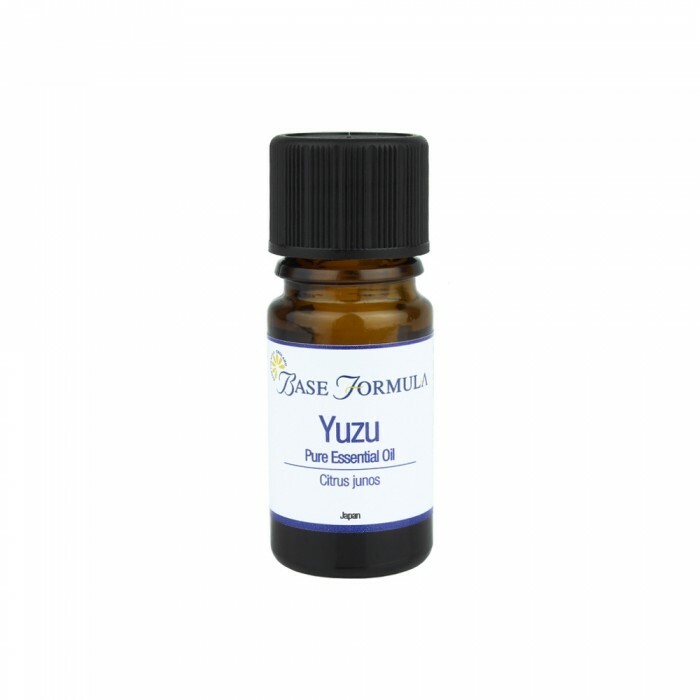 Yuzu essential oil can help to brighten and tone the skin. It is particularly good for devitalised skin and for helping to combat signs of ageing. Its powerful antibacterial properties can also be beneficial for oily/problem skin and skin infections. Yuzu essential oil has uplifting yet calming qualities that make it helpful for issues such as anxiety, stress, depression and nervous tension / exhaustion. It can help to provide clarity for the mind, and encourage a more confident and optimistic outlook. Yuzu has powerful antimicrobial properties that are thought to protect against colds and other infections. It can also help to soothe general aches and pains, including arthritis and rheumatism. It is beneficial for the respiratory system, helping to calm inflammation and clear mucus and congestion. It can be helpful for digestive problems – reducing inflammation, relieving nausea and soothing spasms. Its relaxing qualities can also facilitate a more restful night’s sleep. All other citrus oils (although this tends to dilute its own unique aroma). Try blending with small amounts of Basil, Clary Sage, Roman Chamomile, Frankincense, Geranium, Jasmine, Lavender, Neroli, Patchouli, Petitgrain, Rose, Sandalwood, Vetivert, Ylang Ylang.